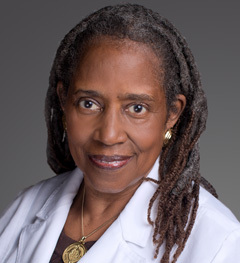 At a very young age Thomas was inspired to join the field of medicine by following in the footsteps of her mentor and her pediatrician Pearl Foster. Pearl was an African American female MD and Thomas said. This positive influence during her childhood is what inspired Thomas to do some mentoring of her own. Claudia L. Thomas’s life has been an inspiration in more ways than just one. In her autobiography God Spare Life Thomas chronicles the key phases of her life: higher education, surviving Hurricane Hugo and conquering the “Big C” cancer. Thomas is a a true inspiration and she received the Diversity Award from the American Academy of Orthopaedic Surgeons in 2008. He is considered an authority on pediatric orthopaedic conditions and spinal deformities. He has published more than 200 publications, 63 book chapters, authored/co-authored six books and lectured in 38 countries. He is the past president of the Scoliosis Research Society and been recognized in “America’s Best Doctors” since1996. He received the Daniel Drake Medal, the highest academic honor the University of Cincinnati's College of Medicine bestows.